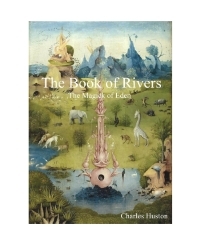 This work examines the magick of the rivers of Eden and the angels that rule these river. The Magick of the Angels of Man which has its basis also on the specific elements of Earth, Air, Fire or Water, which I believe is relate to the four legendary Rivers of Eden, then it is logical to assume that the original sacred image for the rivers would be based on the compass points; North, South, East and West. In the Book of Enoch, it is indicated that God, as part of his plan for mankind, set a legion of archangels to Earth in order to watch over, instruct, teach and assist man were possible during his development and evolution. These Watchers also known as Grigori or Irin, and traditionally associated with the four royal stars or Lords (fixed stars) who traditionally rule over one of the 4 cardinal points, Earth; North (Regulus), South (Formalhaut), East (Alebaran), and West (Antares). The magick of the rivers involves the invocation of the Watchtower Archangels and the Archangels of the Rivers by the use of Rivers Talismans and the traditional Watchtower, to help you to achieve your aims.